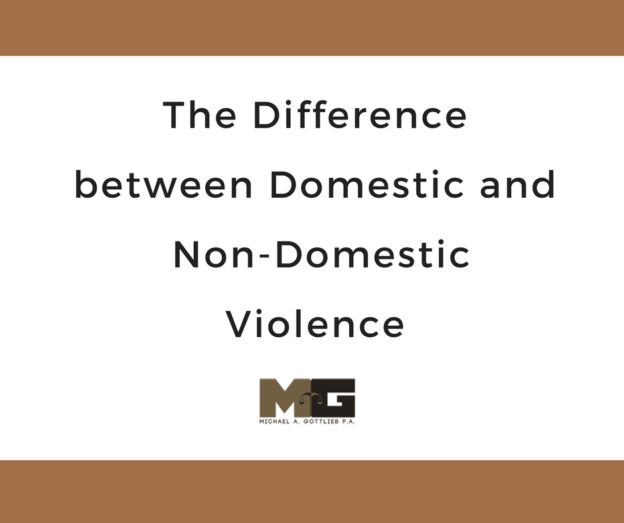 The difference between domestic violence and non-domestic violence lies in the relationship between the offender and the victim. Crimes that inflict physical harm are generally considered non-domestic, unless one party is related to the other by blood, marriage, adoption, a current or previous cohabitant, or a co-parent of a child. Non-domestic violence occurs when someone attempts to or succeeds to injure another person. The crime of assault also includes reckless actions that place a victim in fear of imminent bodily harm. Non-domestic violence is broadly categorized into a simple assault, aggravated assault, and attempted murder. In cases of simple assaults, there is a threat of violence or an actual attack that results in minor injuries. Aggravated assaults are attacks that cause serious physical injury with or without the use of a deadly weapon. Attempted murder is an attack with the intention to kill someone. Domestic violence is a crime between people in a relationship with the intent to control, intimidate, or manipulate the other. While most violent attacks occur between spouses, they are not limited to domestic partners. You can be charged with domestic violence if you assault your parent, sibling, grandparent, roommate, someone you are dating, or someone who is pregnant with your child. Domestic violence crimes are considered very serious and carry varying penalties. The level of punishment depends upon the crime. A conviction of domestic violence plus aggravated assault will result in a harsher sentence than if the case was just harassment. A judge will consider not only the severity of the offense but also the previous criminal history of the offender.